I don't know how I got into this but tonight I found myself infatuated with a collection of antique buttons from a lady who was selling her aunt's estate on Ebay. 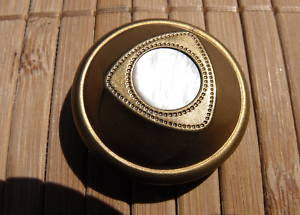 Like this lovely large one with a mother of pearl inset. 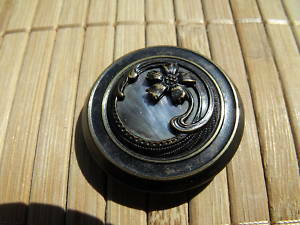 And this graceful art nouveau button.. I bid on some and won one because I managed to jump into the bidding 34 seconds before it was over, but I don't think my luck will hold. After all how much are you willing to pay for a button no matter how lovely it is. And most of these are phased all night and I can't see myself staying up until 3AM to bid on an especially appealing button. 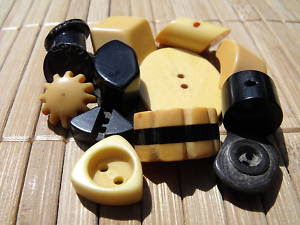 Apparently their are a lot of avid button collectors because the bidding is torrid.